I wanted to give you a quick overview of each day at the MCM London Comic-con, October 2016. Saturday. I had to miss Friday but flow over from Jersey to London City. The full trip from my house to the hotel must have been 1 and a half hours. Not bad. The queue was flowing well and it was easy in. It got busy. Very busy. Leon went for a walk around the stalls and I discovered that the people RELAY liked my pig mitten. This was far easier to carry on a plane than a gun and was a fun addition to my Leon Cosplay. 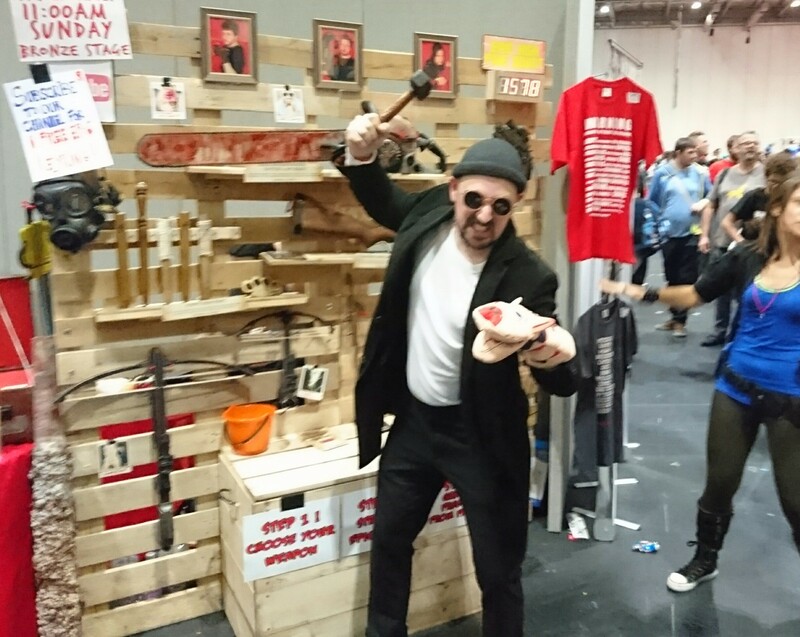 It was only right to take my pig to the Red Shirt Films stall and pick a weapon. Then after giving them an epic high five number 1579 it was time to move on. Photos… More photos. Leon went down well. I look forward to seeing the professional photos taken outside. The issue I had was that due to myself having day tickets not the weekend ticket, I had to rejoin the queue to get back in via the side entrance. This was a pain. After a long day It was time to chill next door with a pint of beer and then somthing amazing happened. The car from Dumb and Dumber parks next to me. To this my day was complete and Leon along with his con buddies returned to the hotel to sleep. 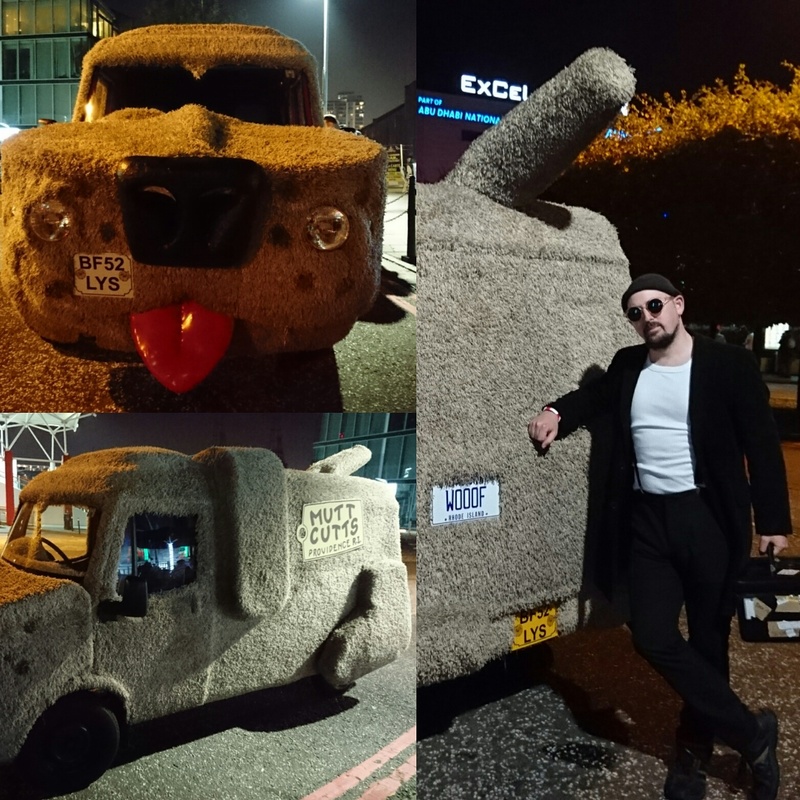 This entry was posted in CONVENTIONS and tagged Comic-Con 2016, Cosplay, leon, London, McmLDN16. Bookmark the permalink.